On June 22, Dannell Stuart attended the 2017 Champions in Health Care event hosted by the Pacific Coast Business Times. With a lot of the baby boomer generation starting to head toward retirement, health care needs for the aging demographic is at high demand. This year’s event aimed to honor individuals in the health care sector that have shown exceptional work in their care for the elderly. 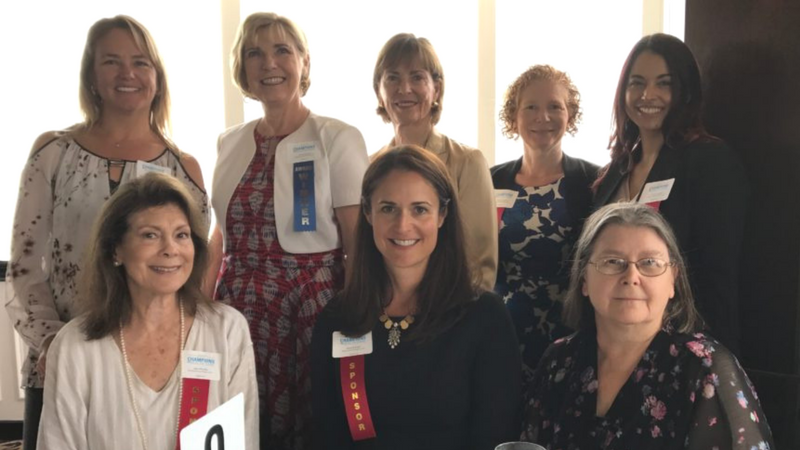 Lynda Tanner, CEO of Visiting Nurse and Hospice Care, was honored as a Healthcare Champion, and was among a highly esteemed group of panelists that discussed challenges and opportunities in our healthcare system. Featured in the photo above are Mission Wealth’s Dannell Stuart (middle front row) along with Lynda Tanner (second from the left, back row), and former board members and staff of VNHC.